Movie websites allow designers to break away from the old formula of a movie poster and create a complementary world for the movie they advertise. Here are a few excellent examples. One way to tell the story of cinema and design is by looking at the evolution of film posters. Since French lithographer Jules Cheret created the first movie poster for Projections Artistiques in 1890, film studios realized that a poster can be a powerful marketing tool for films. In the early 20th century, when illiteracy was extremely widespread, it made sense that a visually enticing single-pager would get viewers interested, and even better – make them buy tickets. In the 1920’s, illustrators were hired to work for studios full-time and they experimented with typography, Art Deco and different compositions. This created another strong connection between artistic styles, design and film posters. In the 1970’s, photography began to dominate the designs, shaping the posters we see today. But in the early 2000’s, the studios found a “formula” for successful film posters, so this pattern was perpetuated, rather than pushing creatives to revolutionize this area of design. 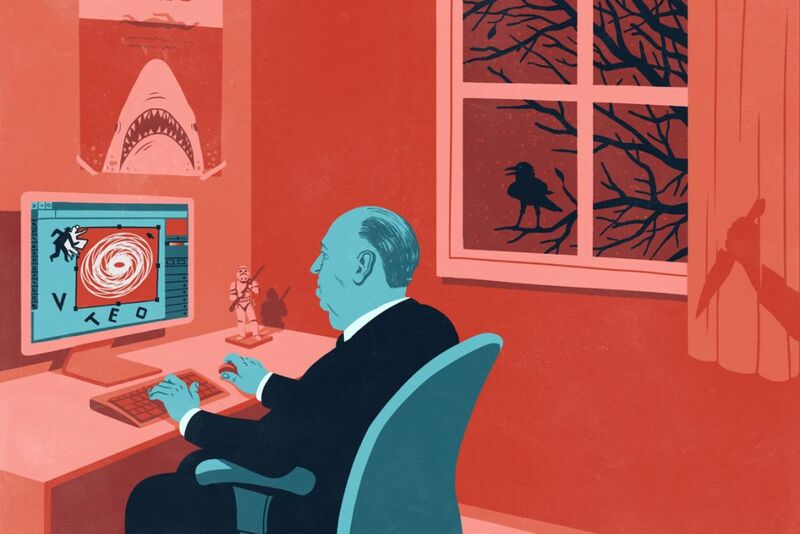 That is, until recently – when movie websites quietly became a new, dynamic medium in the field. As movie websites are gaining more attention for their interesting and engaging design, the change of attitude towards them is becoming evident. Traditionally, movie posters were made to attract attention to the film – but the advertising world has changed drastically over the decades, which also means that the one-pager poster needed to undergo a change. Merely projecting a scene from a film isn’t enough to draw attention – rather, the audience is looking for interactivity, clues, playfulness or in other words, a world created around the film. Even though movie posters were always related to marketing efforts and recognized as an ad for a movie, you can probably recall specific posters that are still remembered for their unique aesthetics. Today, when websites are the new standard, there are certain sites for both movies and television shows that resonate more for their inventive design and standout approach. One such inspiring example is the Isle of Dogs website for Wes Anderson’s recent feature. It corresponds with the film through its Japanese inspired style and content. Wes Anderson, a director who is well-known for his strict design approach, manifested his unique train of thought throughout every bold fold of the website. Another illustration of a creative movie website is Kedi, a lovely Istanbul-based documentary about street cats. The website dedicates a section for the characters (the cats themselves) and features critiques, a hashtag feed and much more, in a simple yet appealing way. 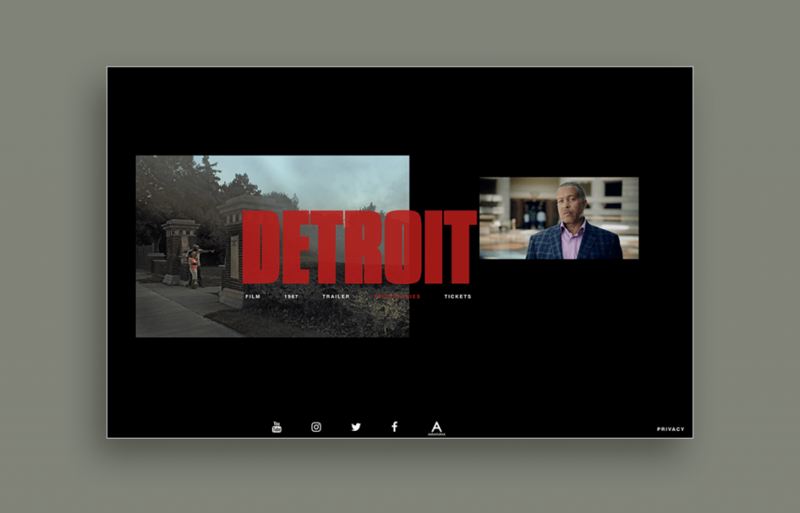 Kathryn Bigelow’s Detroit is another perfect example for engaging film sites done right. The periodic crime-drama website offers information about actual events that formed the base of the film itself. The website for The Disaster Artist offers an immersive experience, achieved through a slick design. You’re met with a video player in the shape of a globe and a unique scrolling menu effect. These carefully constructed elements blur the line between playfulness and informativeness, showcasing the film’s main motif, in which James Franco portrays Tommy Wiseau, as he films the cult movie The Room – a mix between a biography and a comedy. 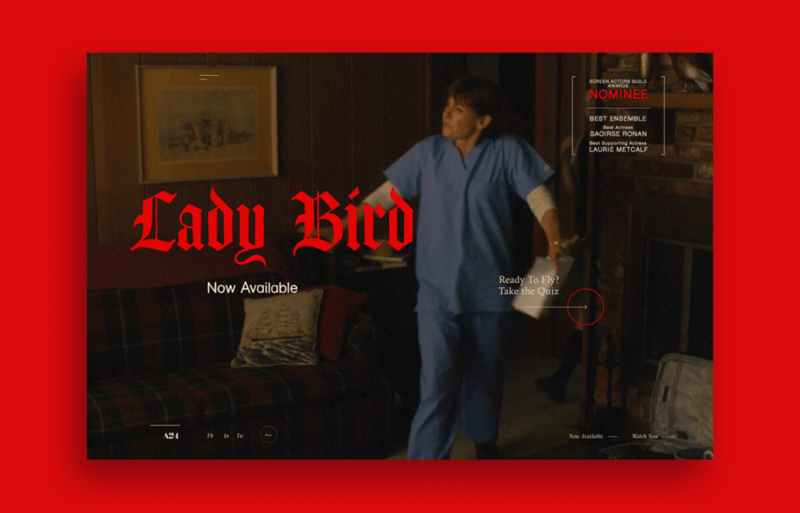 A playful yet exact example for using a website to create a world around the inner logic of a film is Lady Bird. The designers set up an animated quiz based on the aesthetics of the film, as well as an inspiring menu. Another great example can be found in television series Westworld. Their website is completely immersed in the world created by the show. This can be seen in every detail, from the language and phrasing used, to the visual dystopia and there’s even an option to reserve rooms in the park. Film websites are a natural, even obvious evolution of the film poster. At a time when viewers understand film as a multi-layered creation, a website can be a powerful instrument in getting the audience engaged with the story long after the movie has ended (or even before it is released). Other than helping a movie’s marketing efforts, a complementary website offers a narrative that viewers are often eager for. It also pushes forward independent or low-budget films, by enhancing their reach and creating a mini-world around them. As our physical public space is being translated into a virtual one, we are searching for more holistic experiences that can be offered by these websites.